Syracuse is the fifth-most-populated city in New York State and features a population of around 150,000 people. Syracuse is an important location in the state for a number of reasons, including its proximity to Syracuse Hancock International Airport - the largest airport in the region with six airlines that fly to major airline hubs in the United States. It's also close to the home of prestigious Syracuse University, a major New York institution for research. Syracuse benefits from the Central New York Regional Transportation Authority, or CENTRO, which provides bus service throughout Syracuse and its suburbs. Greyhound and Trailways bus lines also service Syracuse. Syracuse residents also have easy access to Amtrak's Empire Service, which hits major cities like Buffalo, Rochester, Albany and New York City. Drivers will find many major highways accessible to them in Syracuse, including the New York State Thruway (Interstate 90) as well as I-81, I-481 and I-690. Before using the highway system in Syracuse, you must make sure you have adequate Syracuse auto insurance. If you've been struggling to find quality Syracuse car insurance at a reasonable rate, you need to contact Capital Gate Insurance Group right away for a highly competitive Syracuse auto insurance quote. Fans of outdoor adventures will love to discover the 1,000-plus acres of parks and recreation areas in Syracuse. These include Burnet Park - the first public golf course in the U.S. - plus the Rosamond Gifford Zoo, Schiller Park, Thornden Park and much more. Another highlight is Onondaga Lake Park, where residents can enjoy biking, running and rollerblading on the closed-off Onondaga Lake Parkway on Sundays in the summer. Before taking your motorcycle out and about in Syracuse, talk to Capital Gate Insurance Group about getting the best rate on motorcycle, RV, ATV, boat and snowmobile insurance. 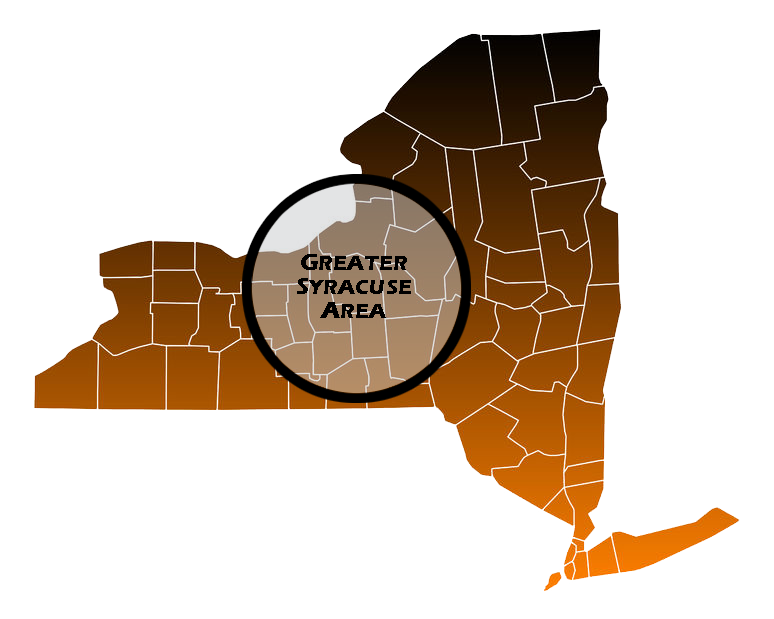 Thousands of people are happily spread throughout the 26 neighborhoods of Syracuse. If you choose to join them, you will appreciate the diverse population, cultural, educational and entertainment opportunities, parks and recreation areas, healthcare system and much more. And once you've found your home in Syracuse, we can direct you to the best Syracuse homeowners' insurance policy for your needs or the best Syracuse renters' insurance if you choose to rent. Capital Gate can also help you protect your family with a great Syracuse life insurance policy. There is no shortage of economic opportunities in Syracuse. Many of them are focused on the healthcare, defense and service industries. If you're thinking of setting up your own business, Syracuse is a great place to do it. No matter what type of business you set up in Syracuse, however, one of your first orders of business should be to cover your bases with a comprehensive Syracuse business insurance policy. Neglecting a good commercial policy could end your business dreams fast. Naturally, Capital Gate Insurance Group can help with a free and competitive Syracuse commercial insurance quote right now.